The Flint Cultural Center invites you on a journey of discovery and imagination to a place where you can experience entertainment, embrace knowledge, and dream beyond the world you know. 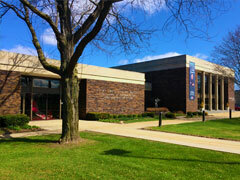 As home to a group of nationally-recognized cultural institutions aimed at furthering the arts, sciences and humanities, the FCC offers a truly unique educational and entertainment resource. Through live performances, unique exhibits, classes and more, the FCC brings it ALL within your reach. 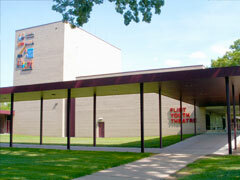 The Flint Cultural Center campus provides area residents with an array of cultural, scientific, and artistic experiences and promotes understanding of the diverse cultures reflected in the Greater Flint community. 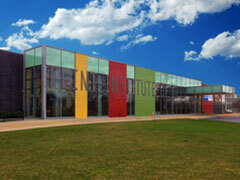 The Center is a major educational resource, and a welcoming and inclusive community center. The second largest art museum in Michigan with two expansive changing temporary exhibition galleries and a permanent collection of more than 8,000 works of art representing ancient cultures to cutting edge contemporary art. 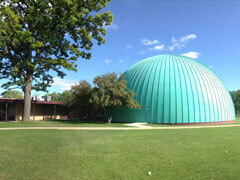 Explore the wonders of outer space and experience scientific discovery at Michigan's largest planetarium. Dazzle your senses with all-new laser shows. Family science activities and special exhibits are also presented throughout the year. 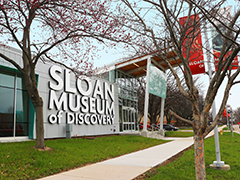 Sloan Museum is closed for renovation in the Flint Cultural Center and will remain open at Courtland Center Mall throughout the project. Visitors can enjoy traveling exhibits, a display of 30 historic vehicles, and a play area for families. 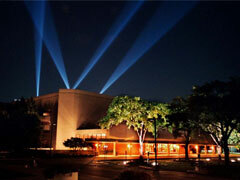 The biggest and brightest stars illuminate the stage of this 2,000-seat professional performing arts venue. Each year, The Whiting Presents Broadway, music, dance, theatre, comedy, and much more throughout its season.